AMAZING V8 SOUND - for only R395! 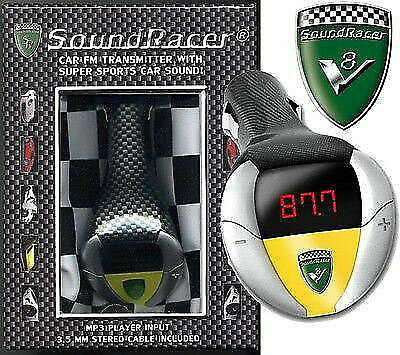 Hi, I’m interested in AMAZING V8 SOUND - for only R395!. Please contact me. Thanks! Now any car can sound like a V8. Simply plug a SOUNDRACER V8 adapter into your cigarette lighter. Buy single units at only R395 each. Toyota Land Cruiser Wheel Spacers From Summit4x4 Accessories, manufacturer and importer of quality and affordable 4x4 accessories. PRICE DISPLAYED IS FOR ONE SPACER ! Used Snap in Adapter MEDIA for BMW / MINI. Used but in a very good condition. Keep the dirt and spills out of your vehicle carpets! Protect your vehicle interior carpets with this superior product designed and developed specifically for your vehicle!!!! As new motec M800 for sale. R48000 ECU UPGRADES. WORTH R65000. MY PRICE R35000. PLEASE NO TIME WASTERS!